Approved by the IHL in October 2013, the Center for Health & Sport Performance (center) is a partnership between the departments of nutrition and hospitality management (NHM) and athletics and exists to create, share, and apply knowledge in a free, open and inclusive environment of intellectual inquiry. This is done through research to create best practices and validate current practices; creating applied experiences for students to explore career fields within a comprehensive athletic health and sport performance environment; and through creating service to the community through professional development, performance nutrition services, strength and conditioning camps, sports medicine cost containment, consulting to small colleges and high schools, and performance training. 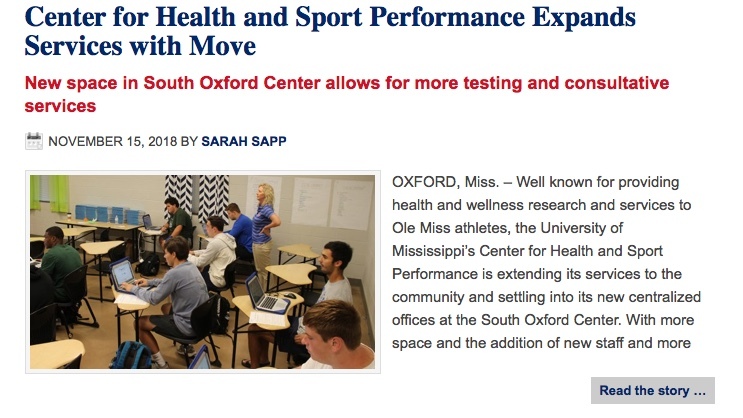 For more information about the CHSP, e-mail umchsp@olemiss.edu.